Humans are designed to absorb visualized information in a jiffy and in many cases remember this information much longer than any other stimulation of senses. Create collages on your iPad. It’s not only funny but also lets you digest the topic again. 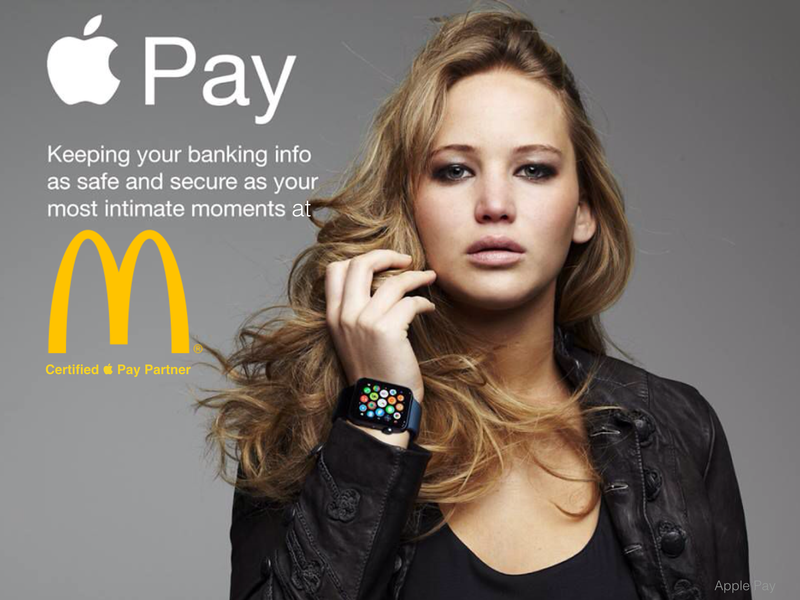 Earlier I posted this image with an ironic content about Apple’s payment system, which works with the iOS devices starting with iPhone 6 and iPad Air 3. It’s an example for what you can do on an iPad. See the appropriate ingredients, apps, and devices to create collages in the image below. 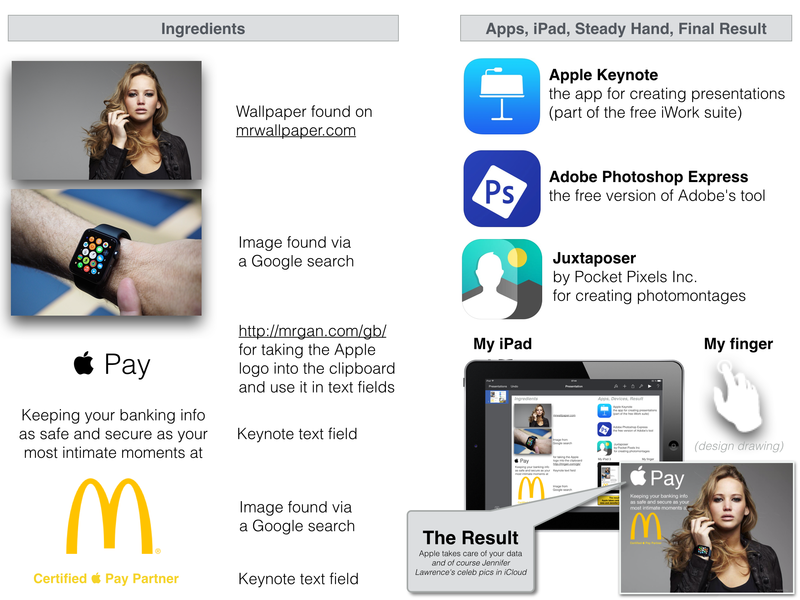 The collage was also created with Apple’s presentation app Keynote. It might be also worth creating some images with photos of your last holiday. Once you started you’ll love it. The iPad is definitely a shining example for disruptive technology. It’s because a touchscreen is much nearer to human activities than any other device or textbook could be. What we do is mostly what we do with our hands. It’s our first approach to new things. Creating artworks, modeling new devices, or writing down all the ideas leading to Einstein’s E=m c c equation on a sheet of paper while walking through the room and reflecting our thoughts is almost always done by hand. Stay hungry, stay foolish, and be creative with your iThing.